Flip a coin. 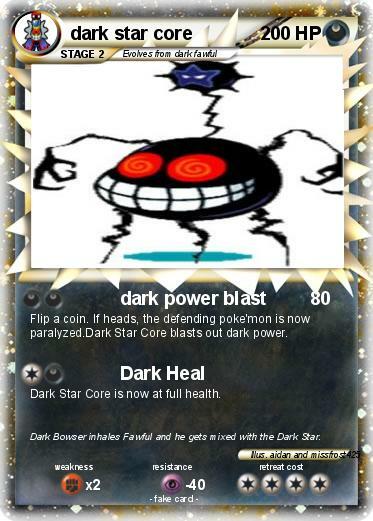 If heads, the defending poke'mon is now paralyzed.Dark Star Core blasts out dark power. Dark Star Core is now at full health. Comments : Dark Bowser inhales Fawful and he gets mixed with the Dark Star.